Thanksgiving is a time for food and family. Check out these fantastic Thanksgiving recipes and make them for the holidays. Shyla's Pecan Pie. Shyla wins a $50 gift card from amazon.com. 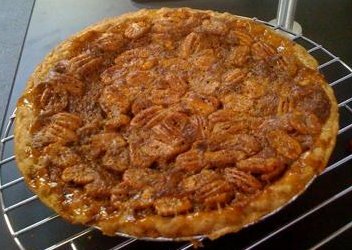 You must try this mouth-watering pecan pie. It's not just the perfect pie for Thanksgiving - you can make it for Christmas or any other special occasion. Click on the links below to see the wonderful Thanksgiving recipes that have been submitted by other visitors, and the ratings and comments they have received. You can also make a comment or rate a recipe.